Use of diet containing antioxidants is very useful for skin as it protects the skin against early aging. Few antioxidants are mentioned below. 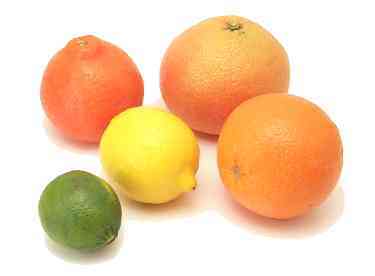 Vitamin C is one of the main healthy ingredients of citrus fruits like oranges and lemon. Antioxidant properties of Vitamin C protect and prevent the skin against aging by neutralizing free radicals. 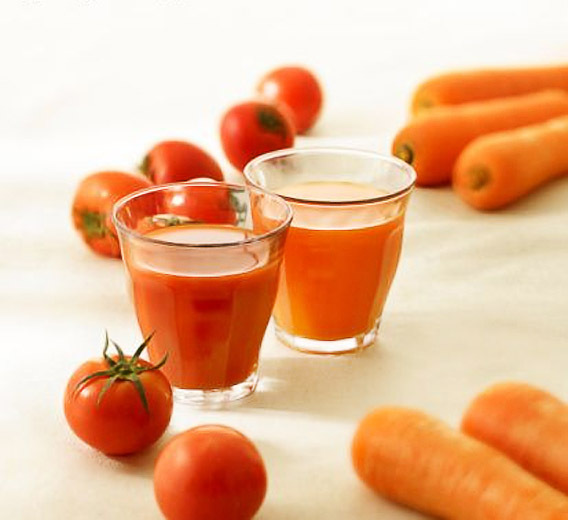 Vitamin C also helps in the production of collagen in the skin. Bioflavonoids found in lemon help in improving the strength of blood capillaries in skin and reduces the occurrence of broken veins. Also a rich source of vitamin C, avocadoes and other fruits/ vegetables of similar family help the skin against aging and also is essential for collagen production for skin elasticity. 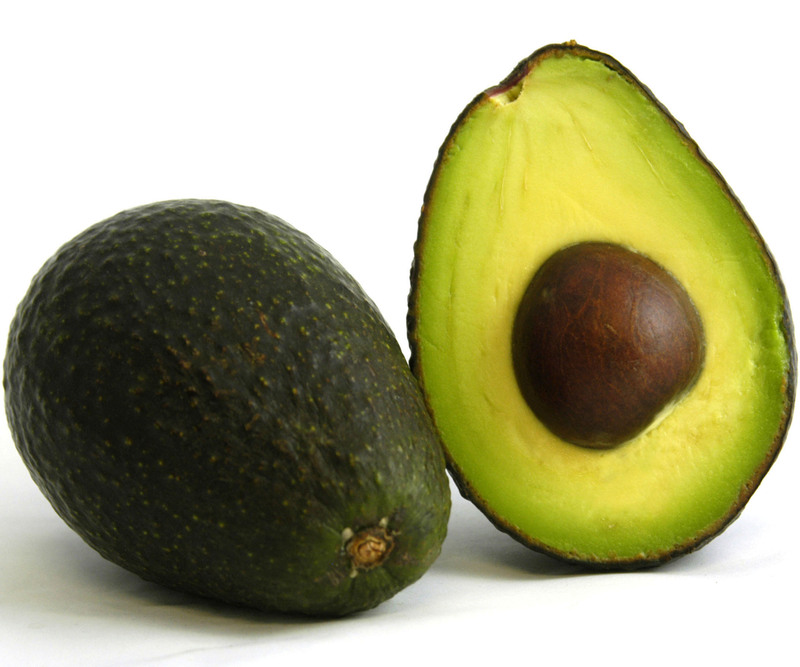 Other than vitamin C, avocado also contains some fats that play an important role in improving the elasticity. Collagen is important for the integrity and elasticity of the skin. 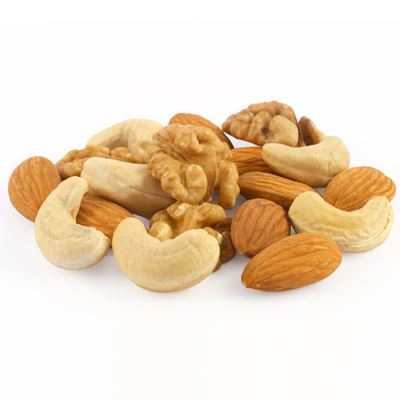 Nuts are rich in essential in fatty acids which assist in the remodeling, repair and regeneration of skins by enhancing the production of fatty acids and collagen. These fatty acids also moisturize the skin and deliver anti-inflammatory compounds to the skin that ensure smoothness and softness of skin. Oxidation- reduction processes can lead to the death of skin cells by formation of free radicals. 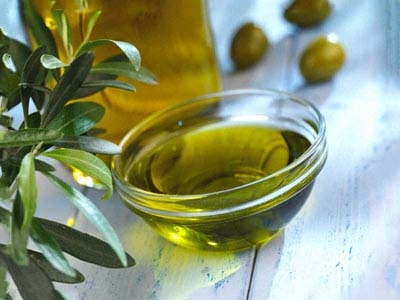 Olive oil is rich in compounds which reduce the oxidizing effects. Antioxidants present in olive oil protect the skin against pollution and application of olive oil before or after exposure to sun helps in the protection of skin by UV radiations. Water is the very important for the optimal functioning of the body, and one must keep an adequate amount of water intake, to compensate the insensible water loss (as part of normal biological processes like perspiration and urination). If we get dehydrated the body tries to compensate for lost amount of water by diverting fluid to vital organs like heart and liver, thus depriving the skin from water which leads to skin damage, thus one should maintain an adequate amount of water (at least 2 liters per day). A regular work-out regimen is important as it helps the skin in many ways. Exercise increases the supply of nutrients and oxygen by promoting the circulation, helps in production of collagen and helps in reduction of stress. All these effects lead to decrease in the frequency of grey hairs, reduction in the amount of fat deposition under skin and other similar ailments. Exercise regimen also helps in reducing the appearance of dark circles around peri-orbital region by improving sleep. The overall resultant effect is radiant looking skin. Exposure to the sun increases the risk of damage to superficial layers of skin by radiations which increase the damage to skin cells resulting in the formation of wrinkles, sagging of skin and appearance of age spots. Thus one should wear a sunscreen to protect the skin against adverse effects to the skin. Topical application of olive oil acts as good sunscreen. Retinoid creams or vitamin A cream are helpful in the production of collagen in the skin, thus making the skin look and feel much younger. 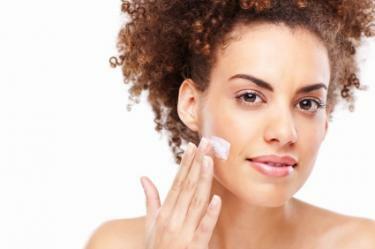 Retinoid creams also protect the skin against wrinkles and acne. Removal of old cells is an important part of the skin remodeling that also promotes the growth of new cells. Therefore, skin exfoliation and removal of dead cells, dirt and gems help in increasing the moisture in skin and also helps in the production of collagen. Sleep is very important for maintenance of optimal functioning of human body. If the body is deprived of proper sleep, the serum cortisol levels increases tremendously (cortisol is a hormone that damages the skin cells by altering the glucose metabolism). It is suggested that 6-8 hours of normal sleep over the night helps in the release growth hormones which keep the skin healthy and well nourished. The position in which we sleep can also affect the skin, as sleeping on the side produces more pressure on the facial skin which may add more creases or wrinkles on the skin, so ideally a person should sleep straight on his back. Smoking is considered injurious for overall body and physical health. Long term smoking decreases the blood flow and oxygen supply to skin and also damages the collagen. This process eventually causes death of skin cells. 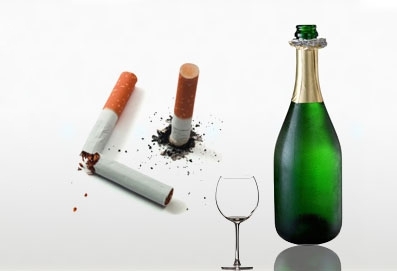 Excessive use of alcohol damages the blood vessels in long run (that’s why skin appears flushed soon after alcohol consumption) and damages the integrity of blood vessels in long term consumption. Too much sugar can lead to wrinkles and sagging of skin as the byproducts of sugar metabolism damage the elastin and collagen in the skin. Stress is very harmful for skin as it effects the growth and metabolism in many ways; like increasing the cellular aging, increasing the risk of certain skin disorders thus making the skin to appear old early. In addition it also disrupts the proper functioning capacity of skin. Toxins are harmful for the optimal functioning of the body; therefore removal of toxins is essential for health. It is recommended to increase the intake of fresh fruits and vegetables to allow natural removal of toxins from the body. Living a happy life and having good relations with your friends and family decreases the amount of stress in life and help you to feel younger and keep the skin radiant.